The ten chapters in this section span an important range of procedural subjects. Their emphasis is on techniques adopted by lawyers, the courts and the legislature to improve the quality and efficiency of the legal process. Efficiency, value for money, and business criteria of success have had a significant polemic and political influence in the United Kingdom in recent years and the chapters collected here provide an opportunity to consider how far these values are reflected in certain areas of legal practice. 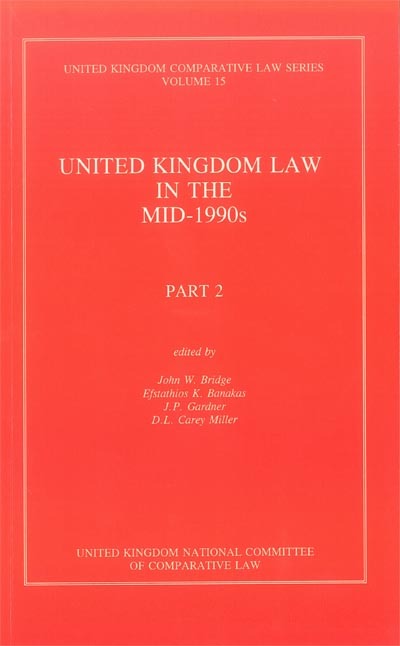 "UK Law in the mid-1990s Vol. II"